Get your pumpkin on and Go Orange for No Kid Hungry! Thanks to Paula over at My Soup For You for teaming up with me today to bring you some great pumpkin recipes, and for bringing even more awareness to No Kid Hungry! It’s October! It’s fall. It’s the season of beautiful leaves, fun autumn events like apple picking, hay rides and pumpkin carving. Pumpkin….mmmmm…..does it make you think of pumpkin spiced coffee, pumpkin ice cream, pumpkin muffins and pumpkin pie?! We’re a lucky bunch, most of us. We can run through the drive through at the local donut shop and get this month’s pumpkin flavored muffin or drink, without too much of a struggle. We can pop a recipe for my good friend Paula’s Pumpkin Chocolate Chip Bread or her Pumpkin Soup right into the oven and enjoy it without too much trouble. All those warm, orange flavors warm our bellies and our thoughts all throughout the fall. Not everyone is so lucky, however. According to the No Kid Hungry statistics for our local area, as of June 2013 (more than a year ago), 22% of kids in our little state were struggling with hunger. Fifty-five percent of them were eligible for free or reduced lunch at school, and only 51% of those students were eating school breakfast. At a recent school event I covered for the newspaper earlier this month, when a room full of young students were asked what the most important thing was that they’d miss if they were late to school, their answer wasn’t attendance, or morning math, or reading, it was breakfast. Every student who raised their hand was worried that if they were late to school in the morning, they’d go hungry until lunchtime. Childhood hunger across our nation is a growing problem, but we can do something to help. Last year, you may remember that our own family started a local Go Orange Day for No Kid Hungry after seeing a television commercial about the nationwide effort to help end childhood hunger. Nationally, the official Go Orange Day for No Kid Hungry is at the end of September, but we opted to do ours just a little bit later at the start of October. It was a big success. We rallied our large school district, the superintendent’s offices and City Hall all to Go Orange for No Kid Hungry, and raised over $1000 in monetary donations as well as bringing in hundreds of pounds of non-perishable food items for our local food pantry. We were helping to put food on the tables of families all around us, and it was a great feeling. All around us, local restaurants and other establishments went Orange as well, donating portions of their proceeds to the No Kid Hungry effort, and wearing orange to show their spirit. This year, we’re doing it again. We’ve pushed our date out slightly further, and this year on Friday, October 31, Halloween Day we’ll be getting our pumpkin on, going Orange for No Kid Hungry again. We’ve rallied our school district, our superintendent’s office, City Hall, and even our church to help us put an end to childhood hunger again this year. So far we’ve had TEN local responses for going Orange on Halloween Day. Even more exciting, we’ve had some inquiries from local folks wanting to spread this year’s local Go Orange day to their communities and schools within our state and neighboring areas. All around our city, people will be showing their Halloween spirit, dressing in orange, donating money and/or non-perishable food items on Halloween Day and helping out their neighbors all in a day’s work. We are thrilled. Wouldn’t it be great if we could really make a difference EVERY YEAR? Wouldn’t it be great if just by spreading awareness and spreading the word, we could help feed other families? 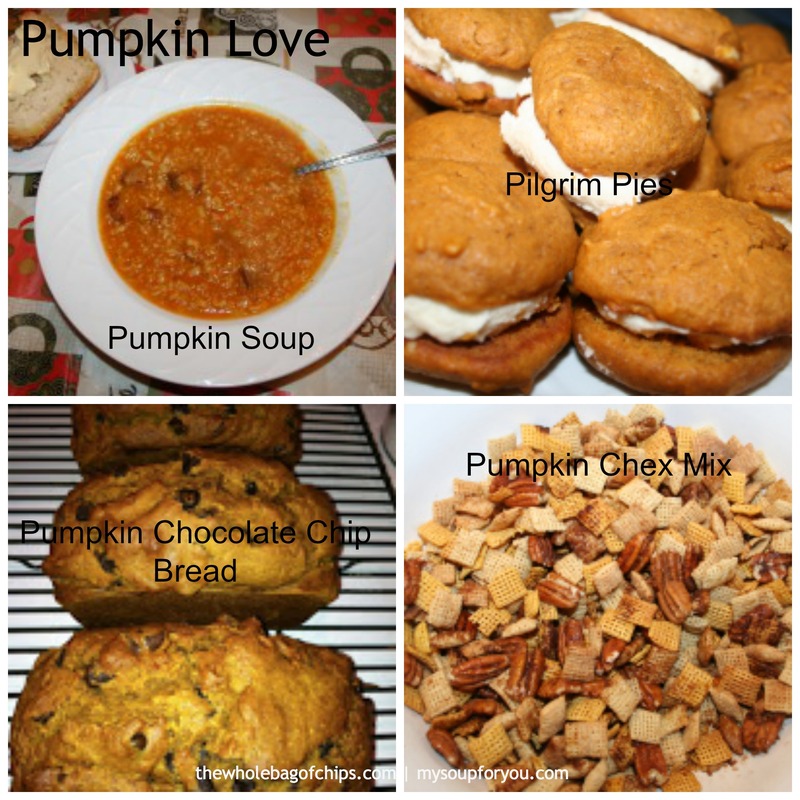 We are foodies, we are blessed, we are thankful to be able to cook and bake and eat our fun pumpkin flavors in the spirit of the season, all month long. So I ask you: will you get your pumpkin on this Halloween Day too? Will you spread the awareness of childhood hunger in your area and continue the good work of No Kid Hungry and their Go Orange efforts in your city or town, at your school or church or temple? Will you help? Get your pumpkin on. Visit Paula’s blog over at My Soup for You and help her spread the word too. Make some Pumpkin Soup. Grab some Pilgrim Pies, eat some pumpkin spiced Chex snack mix, and be thoughtful, be thankful that you can help another family in such a simple way. These were delicious, especially when topped with ice cream! If you’re a longtime reader, you know that I often reference my friend Paula’s blog, My Soup for You. It’s a great blog and it’s so much more than soup! Most recently I was honored when I saw that Paula had posted a new dessert recipe on her blog, and lo and behold, she named it after my blog! 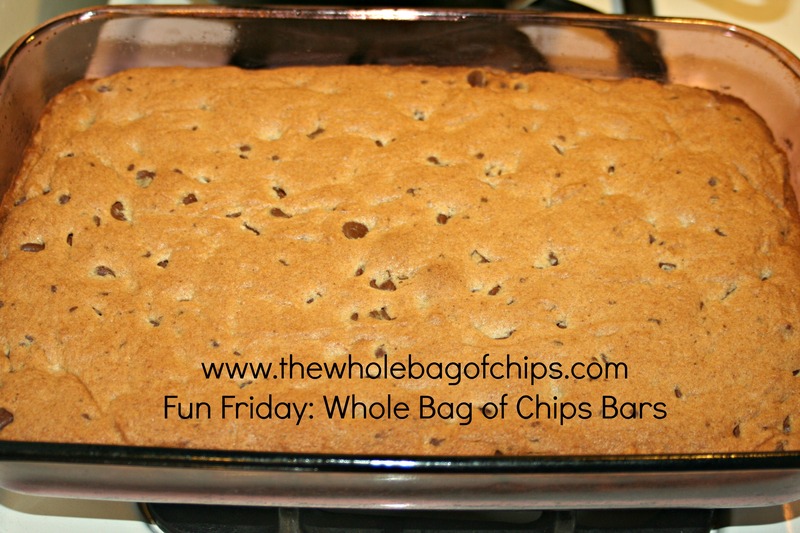 When I saw the post for The Whole Bag of Chips Bars, I was so flattered, and of course I had to make Paula’s recipe right away! The recipe is a healthier dessert treat, but it includes of course, The Whole Bag of Chips! It also uses I Can’t Believe It’s Not Butter, an ingredient I now use instead of butter in all of my baking, and white wheat flour, another staple in our pantry here at home. I hope you’ll head on over to My Soup for You and take a look at all of Paula’s recipes, but most especially The Whole Bag of Chips Bars! She wrote up the nicest post, you’ll want to read it! Here is her recipe, just as she has it on her blog. 2. Add the salt and baking soda to the flour, and add that to the sugar etc a little bit at a time because you probably will still have the mixer on and you don’t want to make a mess. 3. Add in a splash of milk and mix thoroughly. 4. Stir in the WHOLE BAG OF CHIPS! 5. Transfer batter to a 9×13 baking pan sprayed well with cooking spray. 6. Bake at 350 for at least 40 minutes. These are very thick bars and take a long time to bake. This soup is perfect for a cold winter day! We have had some pretty chilly days this winter. Some days there’s nothing that hits the spot like a hot bowl of soup, and I’m a huge fan of creamy soups, which is why today’s post is a favorite of mine. The other reason it’s a favorite is that it brings back memories, and I love recipes that remind me of the past. This recipe is from my college roommate Karen, from the cookbook she made for me when we graduated. The thing is, I can distinctly remember a time when we were roommates that I had a terrible sore throat and laryngitis. Karen made me this soup. I can picture myself sitting at our kitchen table that day, eating her soup. Every time I eat broccoli soup actually, I think of that day. And a few weeks ago when I made the soup, I thought once again, of that day. This was the first time I actually made the soup. I’ve never been very brave with soups before, I’ve mostly left them to Don other than a basic chicken soup. But since my friend Paula’s My Soup For You blog has been in existence, I’ve gotten very brave and I’ve since made several soups. In fact, she and I each made a version of a cream of broccoli soup within a day of each other and we didn’t even know it. As far as my family goes, Caroline and I loved this soup the most. Between the two of us, we enjoyed it over several days’ time, and she liked coming home and having a mug of it after school on cold afternoons. 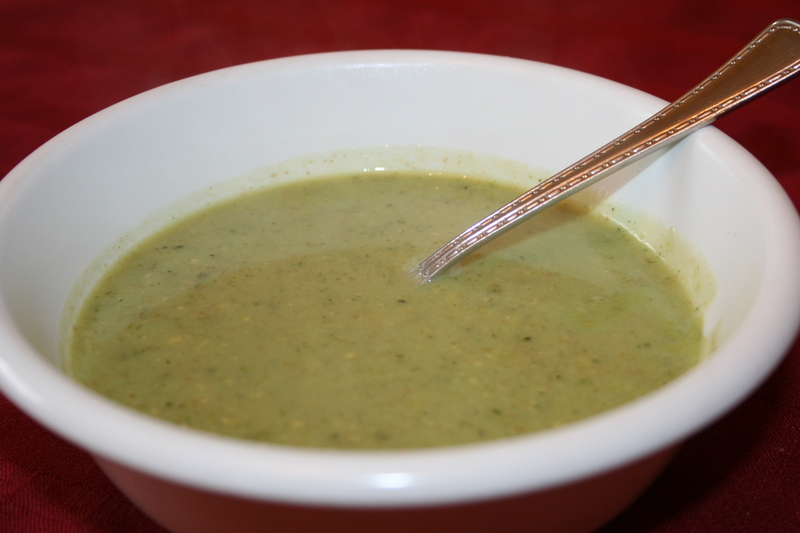 Here is the recipe for Karen’s Cream of Broccoli Soup. I hope it warms you up on a cold winter’s day! I used fresh broccoli for my soup. Although I used a blender for this, it was definitely more of a food processor recipe, and I didn’t use ours! 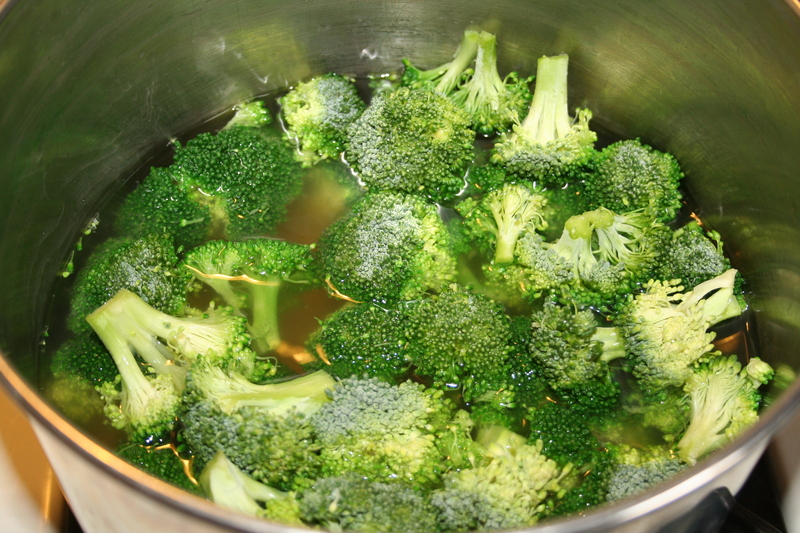 Simmer broccoli in chicken broth until tender. 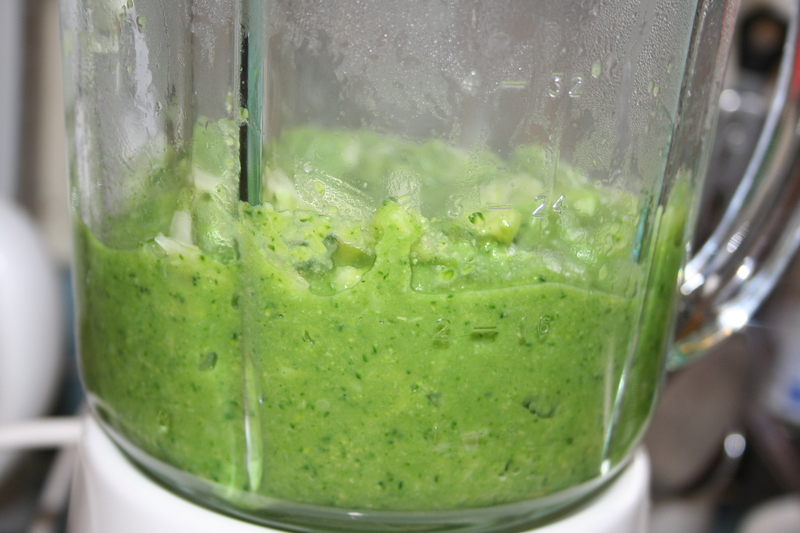 Remove bulk of broccoli and in blender or food processor, process the broccoli, onion and celery until smooth. Set aside. Combine milk and flour in a separate container until dissolved. Slowly add to broth, stirring until it begins to thicken. Add puree, butter, salt and pepper to taste. Stir until it begins to simmer. The angels are crying right along with us today. Yesterday was another one of those days that will be burned into our memories as a horrible, horrible day. I’m pretty sure I am not the only one who woke up this morning and opened my eyes trying to think for a moment of what that awful thing was that I was trying to remember. What had happened yesterday? Oh yes, then I remembered. I wondered exactly how to go about my day. On the one hand, you want to stay hunkered down in the safety of your own home with your own babies and never let them go, not even to school on Monday. But then you think of all the other parents and families out there who are in the midst of the worst nightmare of their lives who would give anything to take their kids to the most mundane of tasks this weekend. And you wonder, do you keep going about your normal events of your days, of Christmas for them? For those who cannot ever again? My friend Paula has a new soup blog, all soup recipes, and her new post for today is perfect. It’s a perfect answer for what we do today. I hope you’ll read it and I hope you too, will put on a pot of Sandy Hook Soup in honor of all those who are living this nightmare.